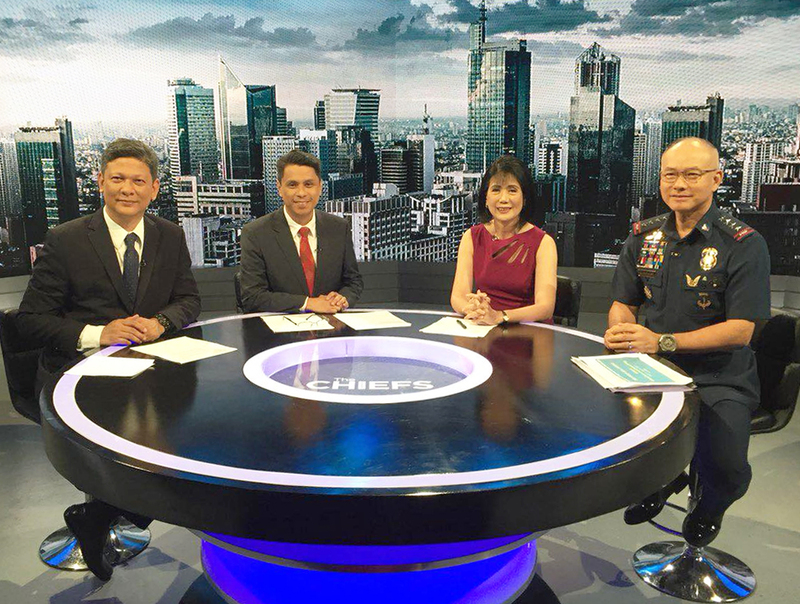 One of the highly anticipated programs of One News that will make its initial telecast tomorrow is The Chiefs, a nightly talk program that will be fronted by the news chiefs of all of the MVP media properties: Ed Lingao, the chief correspondent of One News, Roby Alampay, the editor-in-chief of BusinessWorld, and Amy Pamintuan, the editor-in-chief of The Philippine Star. News5 chief Luchi Cruz-Valdes, who has been on leave for months now, is also part of the one-hour program, and she is expected to appear on its future broadcasts. Set to air at 8:30PM, The Chiefs will include in-depth discussions of the day's biggest issues and interviews with the country's newsmakers. Already lined up to appear during its premiere week are ousted Chief Justice Maria Lourdes Sereno, PNP Chief Oscar Albayalde, and Australian missionary Sister Patricia Fox. The Chiefs, which is executive produce by Jove Francisco, is one of One News' biggest offerings and undeniably one of the most important as its underscores what the network is all about — which is to bring together the strength of all of Manny Pangilinan's media organizations under one banner. One News, which will be available for Cignal TV subscribers, will make its official debut tomorrow, May 28, at channels 8 (SD) and 250 (HD).